Swansea Bowling Club welcomes new members at any time – they are a friendly mixed club with a licensed club house in Bryn Road. It doesn’t matter if you have never bowled before, you will be made very welcome at this friendly, mixed club. The outdoor season starts mid-April and there is FREE COACHING from 16.00 every Monday from 15 April to September. The Club has fourteen qualified coaches who are very active throughout the season. New members will be offered coaching, and initially equipment would be provided. Monday 17.15 and Wednesday at 13.30 For more information tel. 01792 523820 or 472231. 1st Monday of every month. In support of local worthy causes. Good Prizes. Tea and Coffee. All welcome. There will be a coffee morning at Uniting Church Sketty, Dillwyn Road, Sketty SA2 9AE. Wolverhampton, during a storm in January 1883. The lifeboat itself was attempting a rescue of the German barque Prinz Adalbert of Dantzig. Both girls were awarded a medal presented by the then German Empress. Jessie emigrated to Australia where, she had a very turbulent life. Margaret stayed in Swansea. Sadly, both women are buried in unmarked graves. Charles is trying to locate any family members who might be connected to the Ace family of Mumbles. Charles is also looking for any readers of Bay, who are 100, or will be in the near future, for a future article. If you want to contribute any information to Charles, please email him on swanseafamilyhistory@yahoo.co.uk or call Lesley on 01792 290486. NEW STOCK is arriving each week (see pic above) at the Singleton Botanical Gardens Shop which is run by the Friends of the City of Swansea Botanical Complex. 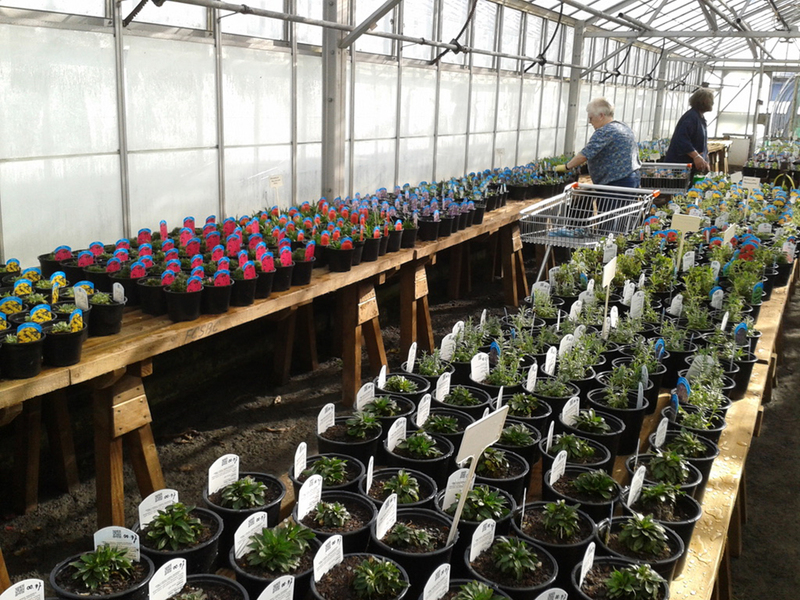 The volunteers have been busy potting-on plants ready for the new season. They have fruit trees and fruit bushes, roses, herbaceous and seasonal plants. They’re increasing their stock of house plants, and there are more fresh herbs to choose from – in either single or mixed pots. The shop re-opens on Saturdays from 30 March – 28 September. Just in time for Mothering Sunday. You might like to give a ‘Bouquet Garni’ mix of herbs for Mothering Sunday instead of the usual bouquet of flowers. Open every Wednesday throughout the year (weather permitting). And, also on Bank Holidays – Easter Monday 22nd April, Monday 6th May and on Monday 27th May. Browse and buy any time between 10.00 –14.00. They are happy to help with advice and queries. Mumbles Community Association is a registered charity that has been formed to improve the facilities in Underhill Park and to ensure that any funds generated can only be used for the benefit of the local community. In July 2018 an agreement was signed with Swansea Council which will enable the Association to lease the Park for 125 years. The Association is now ready to progress with Phase 1 of this exciting project. This £2m investment (see pic above) will provide a new, all-weather pitch, which has emerged as a key priority for local people and its income will help safeguard the park’s future. To enable this to happen Phase 1 will also include a range of other facilities near the existing pavilion. 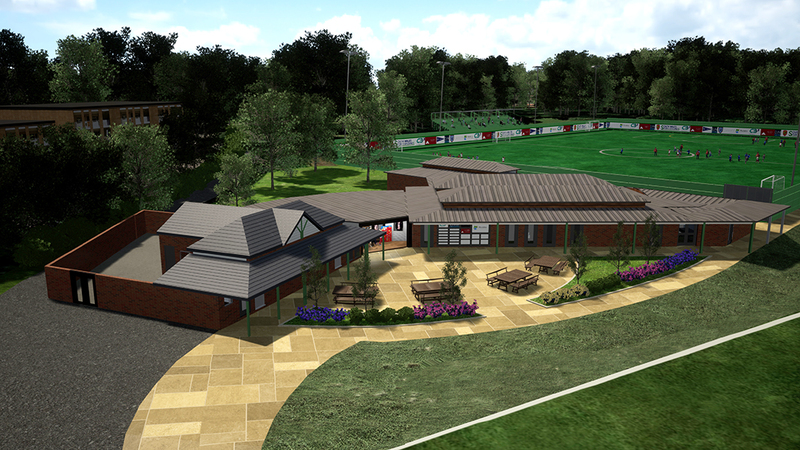 These include new modern changing rooms, facilities for the disabled, storage space and a physio/medical room. There will also be public toilets, a tuck shop and a coffee shop/café/community room. This attractive, flexible space will be available throughout the week for a mix of different activities including, public meetings, children’s parties, private hire events and much more. Before Mumbles Community Association submits a detailed planning application for these proposals it is seeking comment and support from the local community and particularly from users of the park. If you have any comments or suggestions, please complete the Contact Form available on the website gounderhill.co.uk. Mumbles Community Association is also seeking financial support from local businesses and individual donors to help make these improvements happen and the funding process has got off to a great start as Mumbles Community Council is ready to invest £150,000 in the coming financial year if the Association can find match funding. If you feel you can assist we would love to hear from you, please email community@gounderhill.co.uk. Further information is available on the website gounderhill.co.uk including a 3D visual flythrough. The Go Underhill project is supported, and part funded by Mumbles Community Council. May 4-6 2019 will see Street Food Warehouse return for a third year to the Museum Park, Swansea, for a glorious Bank Holiday weekend of fantastic fresh food and delicious drinks. 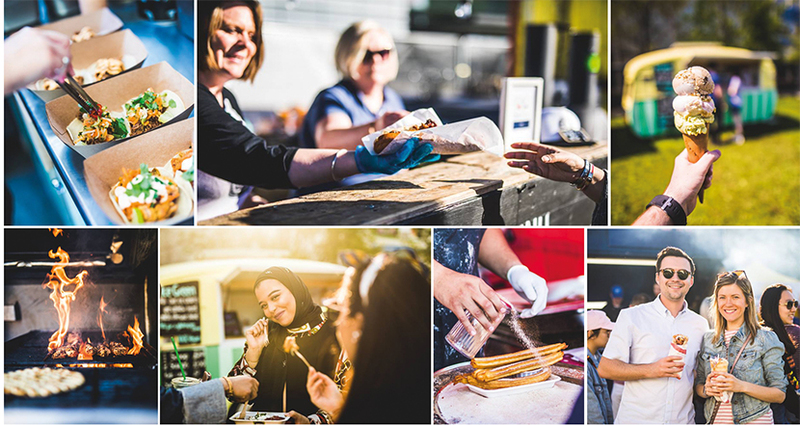 Running from 12 noon – 22.00 daily, a range of different and flavoursome food will be on offer, from chargrilled chicken souvlaki to tantalizing tacos, and from spicy Malaysian Curry to crunchy, doughy churros. Visitors will be able to enjoy a range of mouth-watering food from all over the world alongside an ice-cold pint of Tenby Harbwr craft beer or a fresh zesty Mojito, courtesy of the Pop-Up Bar Hire Company. The illusive Urban Cheesecake, Spicer’s Meat Wagon, Bearded Taco and Gower Doughnut Co. are just some of the street food vendors confirmed, with many other Welsh and National vendors yet to be announced. Catering for all with vegan, gluten free and vegetarian vendors, there is truly something for everyone. Sponsored by Encona, the UK’s number one hot pepper sauce brand, the festival is completely FREE and family friendly. The streets of Swansea are changing all the time, and yet in most photographs taken down the decades there is usually something in them that has stubbornly remain-ed the same. This scene is clear evidence of that. 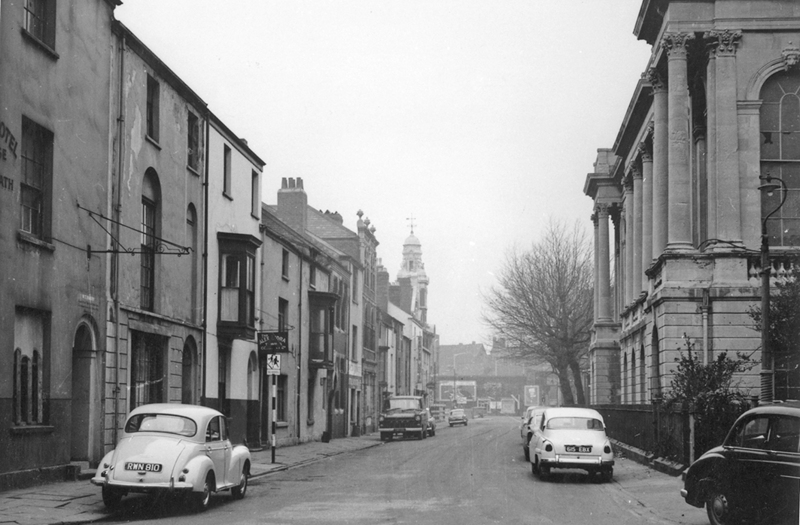 Whilst almost every building in this view along Somerset Place towards Quay Parade and Wind Street has vanished, the building on the right with its grand architecture remains today. It is of course the former Swansea Guildhall, now the Dylan Thomas Centre. captures some fantastic glimpses of Swansea in the past as well as offering candid shots of the social side of our lives. For details on how to obtain a copy or share pictures for a follow up book this year, visit www.bryngoldbooks.com or phone 01639 643961.